Donatello - TripImprover - Get More out of Your Museum Visits! Who is Donatello? 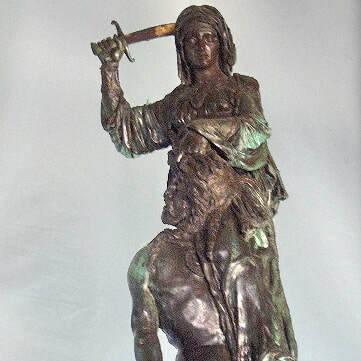 Donatello (1386-1466) was born as Donato di Niccoló di Betto Bardi in Florence. He received his training in the workshop of a goldsmith and was also trained by Lorenzo Ghiberti. He was a sculptor who worked with various different materials, including bronze, clay, stone, stucco, wax, and wood, and he created both self-standing sculptures and reliefs. After Michelangelo, many consider him to the second-best sculptor ever. 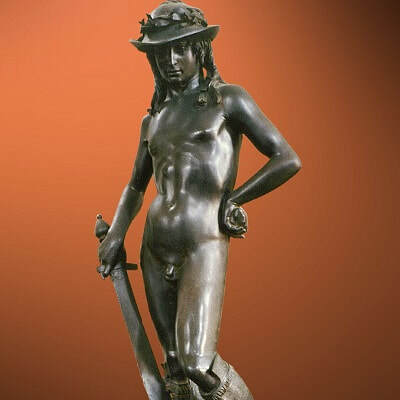 Donatello’s most well-known work is the sculpture of David, which can now be found in the Bargello Museum. During his life he worked and lived in Florence, Rome, Padua, and Siena.